Sequence-specific knockdown of gene expression using CRISPR interference (CRISPRi) has recently been developed for Streptococcus pneumoniae. By coexpression of a catalytically inactive Cas9-protein (dCas9) and a single guide RNA (sgRNA), CRISPRi can be used to knock down transcription of any gene of interest. Gene specificity is mediated by a 20 bp sequence on the sgRNA, and new genes can be targeted by replacing this 20 bp sequence. 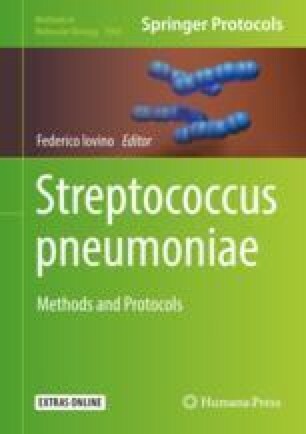 Here, a protocol is provided for design of sgRNAs and construction of CRIPSRi strains in S. pneumoniae, based on the vectors published by Liu et al. (Mol Syst Biol 13:931, 2017).